Bringing the furniture to life! 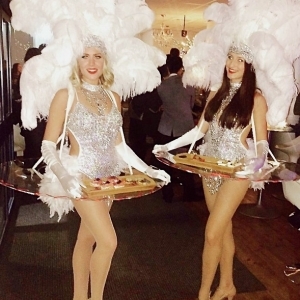 Our fantastic Walking Canape Tables are a great way to inject some fun into a drinks reception or party. 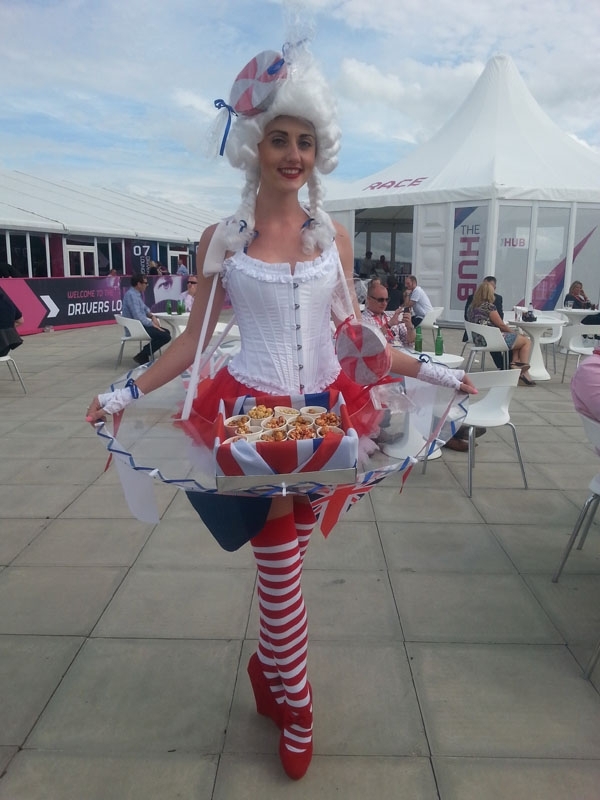 The tables form part of the elaborate costumes and the performers can weave through the crowds, offering canapes and posing for photos with guests as they go. Our Candy Sweethearts are available in a variety of colours and are great for distributing sweet treats, desserts and cakes. 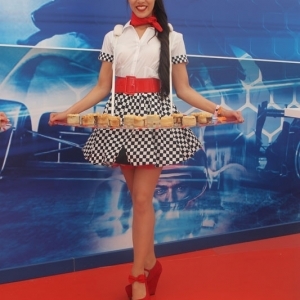 The 1950s Diner Girls are always a popular choice and are great for distributing savoury snacks or popcorn. 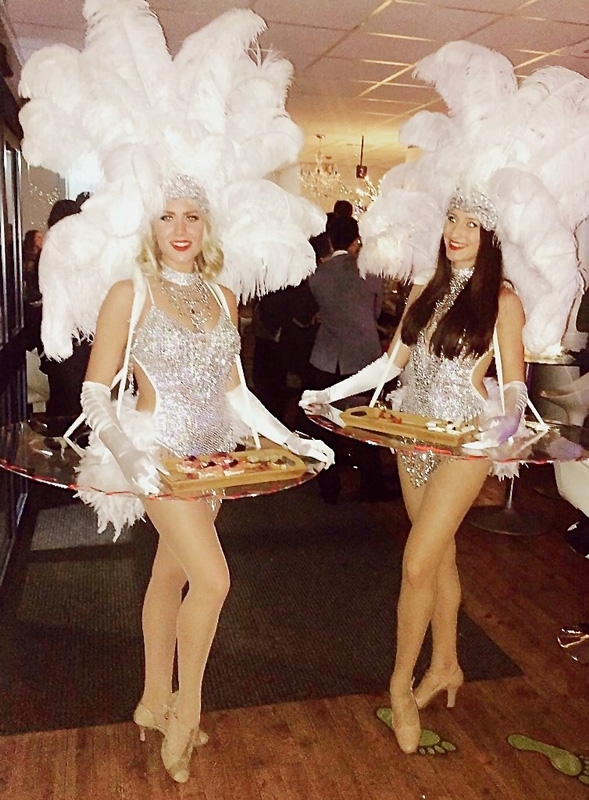 Our canape tables can in fact be worn with any themed costume, so we can create an outfit to fit the theme of your event. 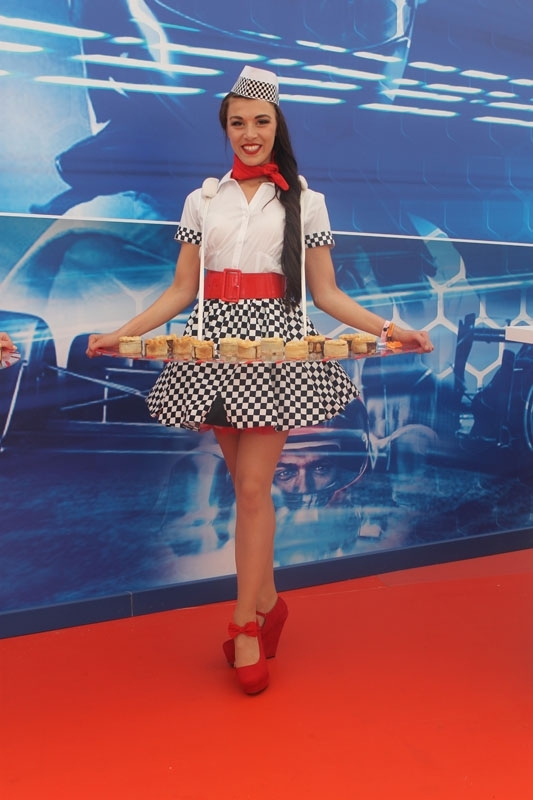 We also design and make bespoke costumes in-house so let us know if you have something specific in mind.